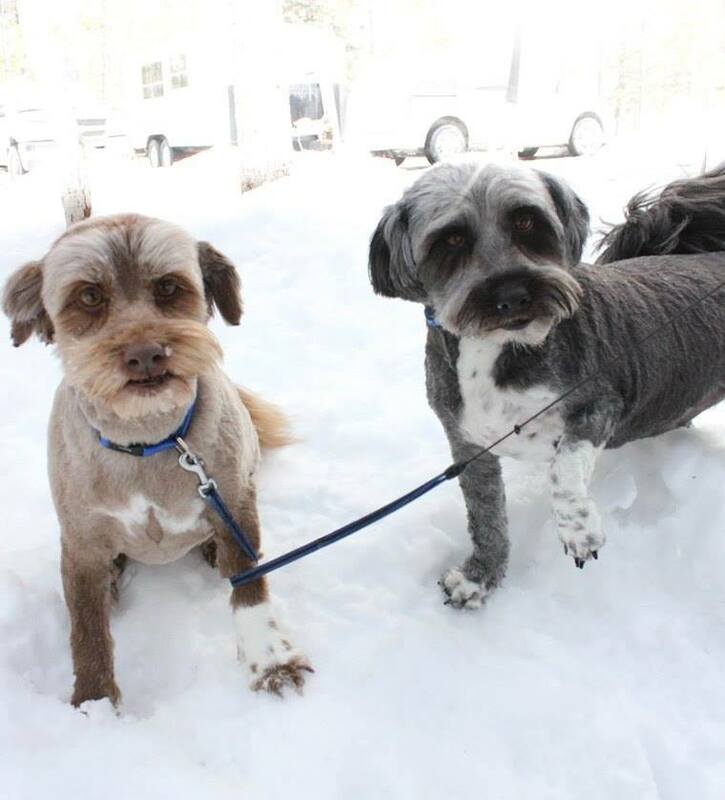 Bella and Shadow are 5-year-old Shih-Tzu/terrier Cross dogs. Bella and Shadow are 5 year old Shih-Tzu/terrier cross siblings, who have always been together – and we would like to keep them that way, by finding the same fur-ever home for this brother and sister. Their old owner is heartbroken at having to give them up – and would certainly appreciate adopters who would be open to an occasional visit in the future. Both dogs are described as having beautiful personalities. Calm, happy and very attentive – they want to please. They don’t bark, even at dogs walking by… and they know basic commands. They are very well socialized with other dogs and other animals, including chickens. Both are fixed. Shadow is 36lbs – he probably needs to drop 5 lbs, Bella is 25.5 lbs. If you are interested in adopting Bella and Shadow, you can submit an adoption application online. Bella is a 5-year-old Shih-Tzu/terrier Cross. Shadow is a 5-year-old Shih-Tzu/terrier Cross.